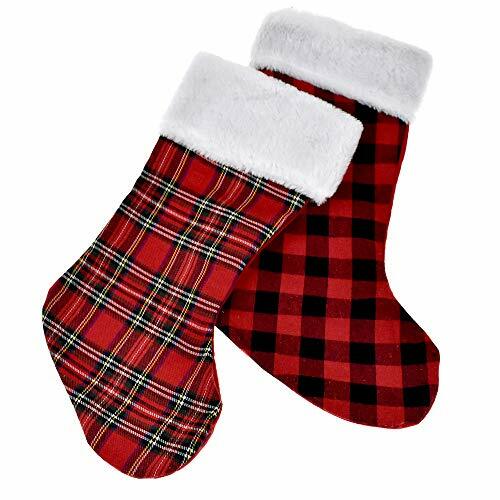 These plush cuffed stockings come in matching traditional plaid and buffalo checkered prints, and are great for hanging by the fireplace and for hiding small gifts! This will make a perfect gift for your love one or use to decorate your home. Fill with gifts for your loved ones and friends! Perfect for Christmas and Winter seasons!